Fabulous fantastic fennel is many times an underrated and overlooked vegetable. Where did this culinary delight come from? The history of fennel goes back to ancient times as it was easily accessible throughout the Mediterranean Basin. Roman warriors are said to have consumed fennel to make them strong. It was also thought to have the power to help people keep thin. Its Greek name marathon, which means “grow thin”, reflects the belief in its ability to suppress appetite. The town of Marathon, site of the famous battle between the Athenians and the Persians, means “place of fennel”. After the battle, the Athenians used woven fennel stalks as a symbol of victory.1 In Greek mythology Prometheus, who brought fire to mankind, concealed it in a stalk of fennel.2 The stalk of fennel, capped with a pine cone, was used as a wand by followers of Dionysus. It was called a Thyrsus3. Pliny, a Roman writer and philosopher, said of fennel, “Fennel has a wonderful property to mundify our sight and take away the film that overcasts and dims our eyes.”4 The Anglo-Saxons held it sacred, and Charlemagne, the great emperor, declared in 812 AD (CE) that fennel was essential in every garden because it had healing properties. He had it grown in the imperial gardens. In some western cultures, hung over doors or placed in key holes, fennel was thought to ward off evil spirits or ghosts. It was said to be especially effective at the summer solstice. In England in the 1200s fennel seed was commonly used as an appetite suppressant to help people to get through fasting days. Later, they were commonly used in church during long services to keep stomachs from rumbling. The Puritans even called them “meeting seeds”. In the late 1700s fennel became one of the ingredients (along with anise and wormwood) in a patent medicinal elixir called absinthe. This elixir was soon marketed as a spirit, and became a popular drink among the Bohemian set in post WWI Europe and the United States. Fennel (Foeniculum vulgare) is an aromatic herb that originated in the Mediterranean region and has many culinary and medicinal uses. It has not been spread and naturalized as an herb around the world, but still primarily grows in coastal climates and on riverbanks. It is also one of the main components of the alcohol absinthe, although the plant does not have hallucinogenic properties. The health benefits of fennel include relief from anemia, indigestion, flatulence, constipation, colic, diarrhea, respiratory disorders, and menstrual disorders. It also aids in eye care. Fennel, which has the scientific name Foeniculum vulgare miller, or its essence, is widely used around the world in mouth fresheners, toothpaste, desserts, antacids, and in various culinary applications. According to USDA National Nutrient Database for Standard Reference, fennel bulb is a good source of energy and other essential minerals like potassium, calcium, phosphorus, sodium, and vitamin C. It also provides iron, magnesium, zinc, niacin, and vitamin K.
Words of Caution: You must remember that there are two sides to any story and too much of anything is harmful. Certain components of the fennel essential oil such as anethol, and a few other chemicals present in the plant itself can be dangerous if ingested in too large a quantity. You must remember that the compounds which can kill bacteria and microbes in low doses can be harmful to you too. 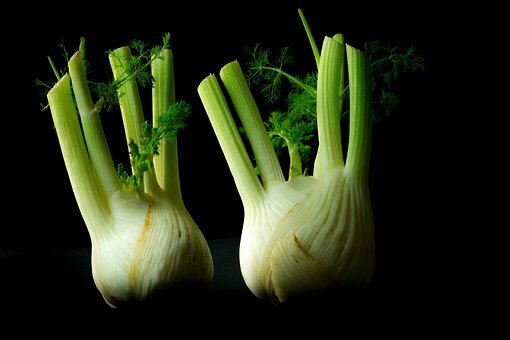 Excess use of fennel can cause difficulty breathing, increased palpitations, irregular heartbeat, and various neural problems. Go forth and try some fennel! you just might like it!